Attributed to the Paris master Charles Riffault, the outer border mimics a Gothic rose window, the cells filled with plique-a-jour enamel, the centre decorated with a portrait of a medieval maiden, painted over a scalloped guillochage in red and blue, mounted in yellow gold. Riffault’s palette of red, green and blue with painted white details is very distinctive. 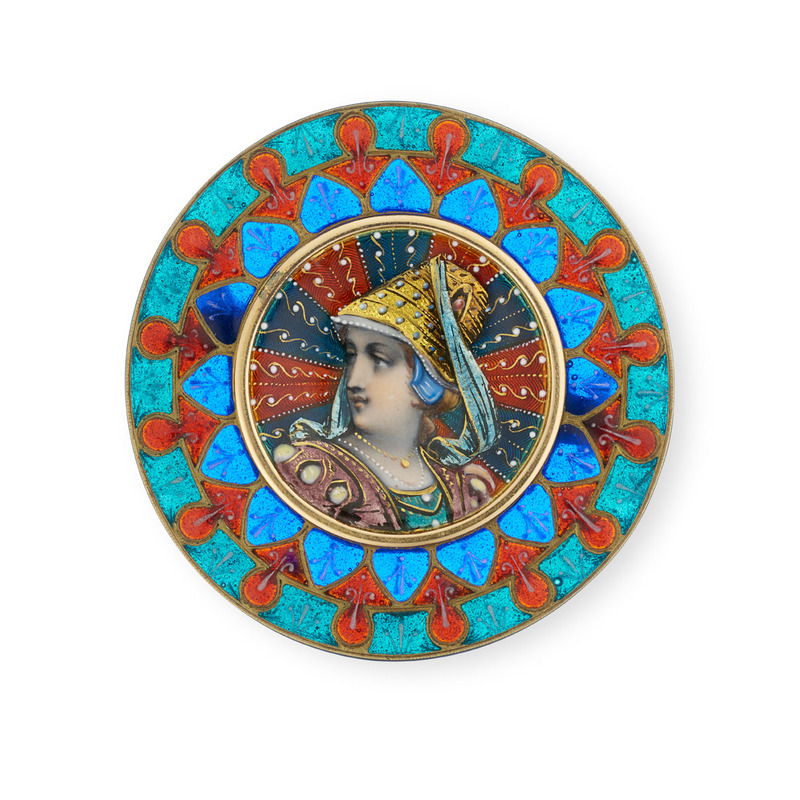 He created comparable works for Frédéric Boucheron in the late 19th Century, circa 1880.